There are quite a number of kings, queens, lords, ladies, and divas –monikers that have been bestowed upon music artists. Yet there is only one “Empress of Soul”…Gladys Knight. Such a lofty title evokes regal presence and influence. Gladys Knight is indeed an empress who is at her impressive-best when she's up on the live stage. Now you've got this one chance to see her one-night-only engagement happening at the Tanglewood Music Center on Wednesday 28th August 2019. 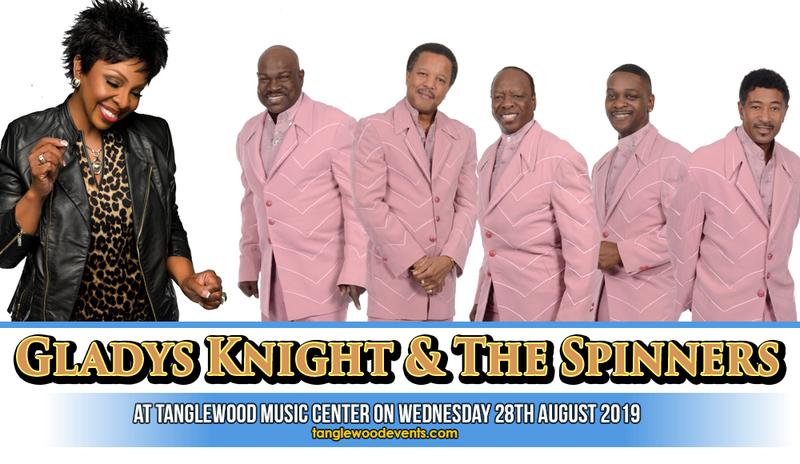 And this is going to be an ultra-soulful evening because joining Miss Knight are the iconic rhythm and blues vocal group, The Spinners. Tickets are now on sale! As one of Motown's flagship groups, Gladys Knight and The Pips had singles that were endlessly spun by radio stations and filled the airwaves in the 60s. Among these were "I Heard It Through the Grapevine," "Neither One of Us (Wants to Be the First to Say Goodbye)" and "Take Me in Your Arms and Love Me." As the swinging 70s rolled-in, their songs reached anthemic proportions as "Midnight Train to Georgia" and "You're the Best Thing That Ever Happened to Me" exploded in the charts. Gladys Knight has always been the face and the voice of the group so she eased on naturally towards a solo singing career. She was then in collaboration with superstars — the likes Elton John, Stevie Wonder and Dionne Warwick, as they came together to record the timeless classic "That's What Friends Are For". Gladys Knight has six number one albums and four Grammy Awards to her name. She shows no signs of slowing down as she continues to record and release gospel and urban R&B records, and yes she still gets back on the concert route from time to time, much to the delight of her devoted followers. This is one of those moments when Glady Knight invites you once again to hop on her soul train; you're in for a smooth yet exhilarating ride!